This mix was designed thinking of a quiet rainy night spent inside an apartment in a city building, with the rain impacting on the windows, and an operative computer in the room. 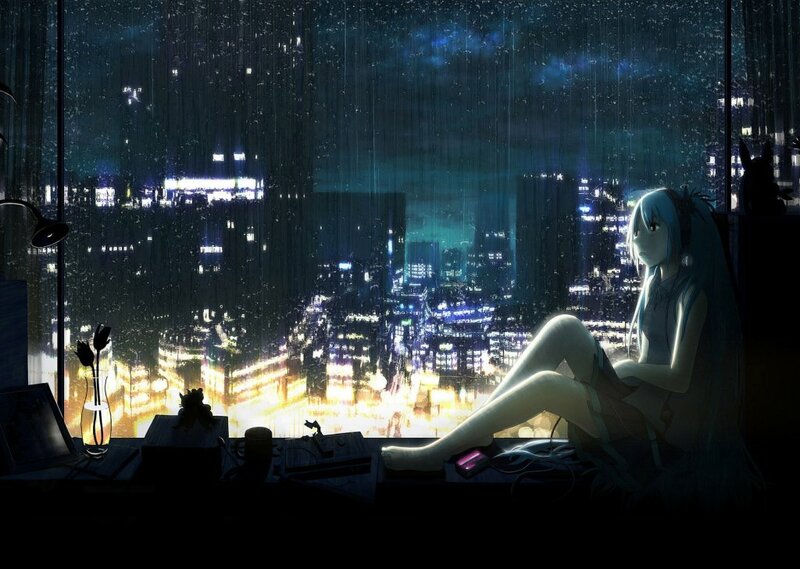 Creates a quite generic rainy atmosphere, with a bit of modernity and tech. Suggestion: try keeping this mix as a base and play some soft atmospheric music, for example blues, noir, tech-ambient, scifi-ambient, soundtrack etc. with your favourite music player to enhance your atmosphere. Comments for "Rainy Night in the City"
License details for "Rainy Night in the City"